Risk management is an integral aspect of project planning. By identifying and analyzing potential shortfalls, project managers can mitigate risks while continuing their project processes full steam ahead. 92% of CEOs agree that communicating information about risk is critical to the long-term success of a project, so taking steps to accurately identify, assess, and tackle potential risks before they occur can positively affect your outcomes, especially at each individual stage of your project. For example, when you’re planning strategies, selecting and prioritizing resources, or executing your project, it’s best to understand and identify what could go wrong before you make costly or time-consuming mistakes. Not only will your immediate team be invested in the success of your project, but stakeholders will too. Typically, stakeholders are people, groups, or organizations outside a project, who can affect or be affected by your plans. It's all but certain they’ll be eager for updates and information about how your project is running. Additionally, these stakeholders and their approval (or ‘buy-in’) will be crucial to the success of your project life-cycle as they provide important resources, external support, and influence that can help you achieve key project milestones and keep your plans moving until completion. Arguably, external stakeholders wield the most influence on the long term success of a business or project, as they will often be the end users/customers. If you regularly engage your stakeholders from the start, their expectations for the delivery, risks, and completion of your project will be more realistic – avoiding negative stakeholder opinion and instead meeting their expectations. 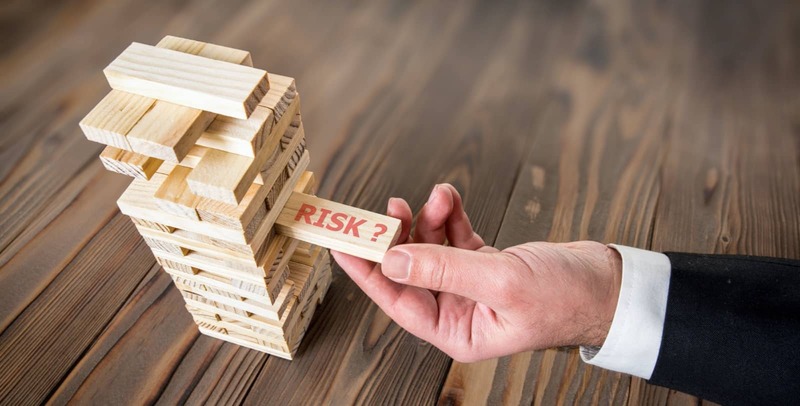 Identifying risks should never be purely an academic exercise – in reality, risk assessments are next to useless unless effectively communicated. Why should you communicate risks? Before risks are identified, it can be difficult for project roles and responsibilities to be defined. 29% of businesses identify accountability as a key obstacle to project completion – highlighting the need for better role allocation and procedures for dealing with risks. If project managers are able to immediately call to the right individual or resources to deal with an issue, projects can stay on track when or if a risk occurs, as potential risks are already 'marked in red'. By communicating potential risks to the right people, such as your teams and stakeholders, you're able to better understand who you should allocate roles and responsibilities to. Project stakeholders will have multiple reasons for investing their finances, time, and support into your project – so it's important to return the gesture with transparent communications about your project timeline. If your stakeholders have unrealistic expectations that are not met, it's likely they will become disengaged or unhappy and cause damage to your project by being non-responsive or communicating negatively to others. If you find a balance in both general and risk communications and communicate the potential risks that could alter project timelines, your stakeholders are likely to have higher trust and confidence in your project. In modern times, projects and the teams that work on them often aren't found in just one location, with many projects even extending across the world. So, if something goes wrong, how can project managers effectively communicate the risk to their widespread team? By taking steps to communicate risk, you identify potential issues beforehand and equip your teams with the ability to respond effectively. This reduces confusion and enhances problem-solving skills in your teams. Risk analysis software can detect potential risks and communicate them using graphical reports. This provides your teams with easily understood information, enabling them to respond to risk instantly, without needing to be informed by other personnel who may be in different locations or time zones. Risks need to be clearly communicated before, during, and after a project to ensure that stakeholder expectations and opinion are upheld. Unfortunately, we all know that risk management isn't as easy as writing a list and sliding it across the table towards your most important stakeholders. Project managers need to involve stakeholders in project conversations, keep important individuals engaged, and use the correct tools to enable effective communication. Project managers are often held responsible for communicating with stakeholders, but they shouldn't be the only line of communication. Risk management requires the involvement of all of your project team members, especially if individuals hold expertise in certain risk areas, or are leaders of a specific aspect of the project. These particular specialists will provide relevant and detailed information, and help build more realistic stakeholder expectations. By meeting expectations, it's easier to relate to project stakeholders and obtain their vital support for your project. Studies conducted by The Project Management Institute found that by shaping realistic stakeholder expectations, projects were found to be more successful, as support was a distinguishing factor between successful and challenged projects. By allocating communication responsibilities to expert individuals, stakeholders can obtain more relevant information that provides them with these vital realistic expectations. If key stakeholders aren't located near you or your project, it can make it difficult to communicate effectively. Ideally, you should choose a project team member who is close to the location of your stakeholders, whether it's by region, country, or timezone, who can more easily respond to questions and concerns. In our digital age, face-to-face communication can build stronger working relationships and encourage higher engagement, so consideration of stakeholder location should be a priority if you want to communicate effectively. If you're holding a weekly call at a time where a stakeholder in a different time zone may be asleep, or can't find a time or day when essential stakeholders are available, it's likely they'll become disengaged. Remote members of your team can use your risk assessment reporting system as the central hub of their information and communicate to stakeholders with greater foresight into potential risks. Risk analysis technology can equip you and your team members with the ability to communicate quantitative risk analysis to your stakeholders. When risk assessment is purely speculative or includes an inaccurate assessment of resources, finances, or time, stakeholder expectations can become misguided towards unrealistic demands. This can leave them unhappy with your project's management, potentially damaging their support. Cost risk tools can perform a cost-only risk analysis from the beginning of your project until closeout, ensuring that financial expectations are met. Additionally, risk analysis technology can perform a schedule risk analysis that identifies high-risk areas of your project, provides high value information such as a prioritized report of the top risks likely to delay your project, and allows you to accurately determine an end date (a crucial stakeholder expectation). Moreover, risk assessment tools enable you to visualize alternative scenarios to your risks and enable you to calculate the impact of them. By using technology, you can communicate accurate information to your stakeholders that is more likely to ensure their support. If we recognise the importance of communicating with stakeholders, how do project managers ensure that communications are regular, stakeholders are engaged, and that stakeholders are fully aware of the risks of their project? By regularly reporting on your project, you can check for common issues, report potential issues with interactive links, and submit them for analysis. You can then set up alerts for potential risks and retroactively react and inform key individuals or stakeholders who need to know. Robust risk analysis software can provide you with greater insight into project risks and provide your stakeholders with reliable and quantitative data. Often, risk management is a crucial piece of the 'stakeholder satisfaction' puzzle, so ensuring you have the tools to communicate risks effectively provides a huge helping hand.